David is a well-known corporate lawyer with a strong track record of leading corporate and commercial projects and transactions. He looks after some of our largest corporate clients, assisting them with group re-structures and re-organisations as well as acquisitions and disposals. 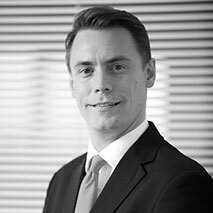 He also has considerable experience of structuring and establishing new private equity funds. David particularly enjoys the challenges of working with experienced start-ups and early stage businesses and runs our very popular Equity Steaks entrepreneur dinner programme.